The largest gathering of the search marketing community is happening March 13-15 in San Jose, California. 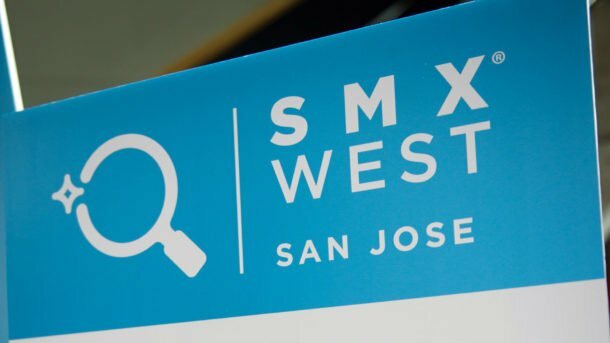 Search marketers from around the globe are flocking to SMX West for three days of unrivaled training alongside industry experts in a warm, welcoming environment. But that’s not the only reason to secure your seat now. In fact, here are 10 more for you to chew on. Stay up-to-speed on the latest in search. The search marketing industry is defined by change. Honestly, between the time you read this email and Day 1 of the conference, something will change — and it could be something major. At SMX West, you’ll be trained on the most cutting-edge tactics, as well as the latest breaking news and developments. View the complete agenda and our special SEO, SEM and Retail tracks. Take a deep dive. Attend an SMX workshop. Choose from full-day, rock-star seminars on Google AdWords, advanced SEO, social media advertising, Google Analytics, mobile optimization, technical SEO or conversion rate optimization and A/B testing. View the workshops lineup. Learn from the experts you trust. A session is only as good as its speakers, and we are proud to welcome some of the most professional, passionate and experienced speakers to the SMX stage. Plus, speakers are never paid to appear at our events, so you know you’ll be getting the unvarnished truth. 100 percent unbiased content. SMX West isn’t backed by a software company or digital agency. It isn’t a customer event that dabbles with the occasional search topic. Our unbiased, vendor-agnostic content is designed to do one thing: help you succeed. That’s our agenda. Respected brands. The brands that flock to SMX are among the best. From esteemed boutiques and innovative providers to Google — they return to our Expo Hall and session rooms year after year because they know it’s worth it. All white-hat, all the time. SMX speakers are held to the highest standards when it comes to the quality of their presentations. You only learn tactics that are safe for your brand or clients. No get-rich-quick schemes that may land you in hot water with regulators, the search engines or your boss. Diverse training. Our session format is carefully constructed to match each topic. Solo sessions offer expert-led deep dives. Panels provide a variety of viewpoints. Roundtables ditch PowerPoints when discussion is more valuable. Clinics address your specific case-by-case needs in a dedicated Q&A environment. Something for everyone. Single-track conferences can be a snooze because it’s hard to offer something for everyone. We get that. That’s why we offer multiple tracks that run simultaneously. There will always be sessions that interest you. Less yawning, more learning. Zero-tolerance harassment policy. We proudly deliver a friendly, safe, harassment-free conference experience for absolutely everyone — attendees, speakers, sponsors, staff. No exceptions. Period. Exceptional amenities. Our team works hard to make SMX as pleasant as it is productive. Top-shelf amenities are always included with your All Access registration: full breakfasts and hot lunches, built-in recharge and refreshment breaks and complimentary WiFi, to name a few. Coming to a conference is an investment. You put a lot in and deserve to get a lot out. Join us at SMX West and you’ll walk away armed with fresh tactics, tips and techniques that can be immediately implemented to drive traffic, convert visitors and grow your business. If you’re already planning to join, do yourself and your wallet a favor: Take advantage of massive savings off on-site rates. And do it now, because the same All Access pass will cost you $100 more next month than it will today. Convinced? Register now! Want to learn more? View the entire agenda.